Reaching a major milestone, Tim Hortons has begun a campaign to celebrate its 50th anniversary in style. To kick off the celebration, the company is introducing a special 50 anniversary logo and packaging, and planning anniversary-themed campaigns that engage guests and fans leading up to its birthday on May 17. 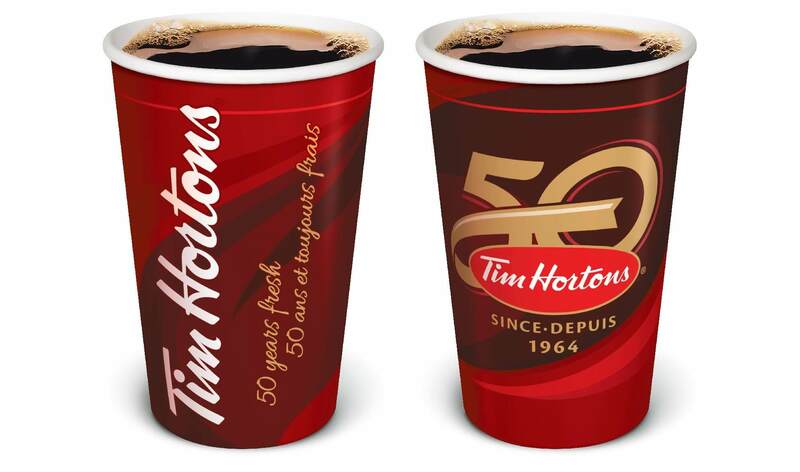 Guests of a local Tim Hortons can take advantage of hot or cold beverages served in cups that feature the new 50 anniversary logo and 50 Years Fresh tagline. The anniversary branding will also extend to donut, muffin and Timbit boxes, bags and take home coffee. 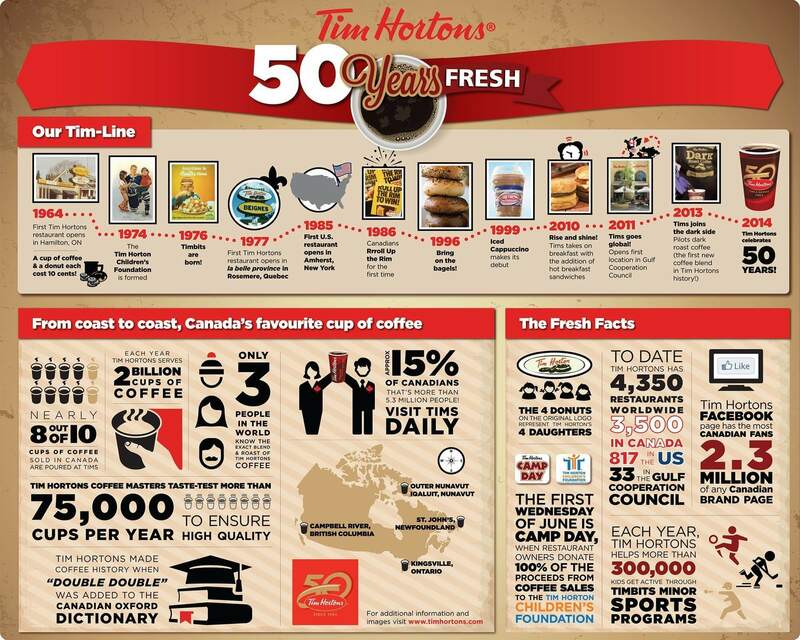 They have also put together this infographic which gives you a look back at the brand over the last 50 years, Tim Hortons was the 6th most influential brand on the Most Influential Brands list.